Personal Remote Control Drones - What's Best? Personal Remote Control Drones – What’s Best? As remote control drones become more affordable many consumers are looking to purchasing these flying technologies for personal uses. The market has become flooded with various models of drones each with their own capabilities and prices. As a result it may be confusing for newcomers to understand which remote control drones are best for them. As someone who builds custom drones I wanted to provide a run-down of the best remote control drones I’ve tested for civilian use. I’ll share what I believe the top 3 civilian drones are, what their capabilities are, what their downfalls may be, and where you can buy them if you’re ready to make the jump and get into the remote control drones market. Drone Racing. A new sport has become racing high speed remote control drones. Experts with customized quadcopters race around various track types avoiding numerous obstacles for first place. The sport has taken off in Asian countries and tracks are even popping up all around the US. Photography. Or maybe you are interested in using drones for aerial photography. In the past to obtain aerial photos you would need to use outdated images that may not even be specific to the region you are interested in seeing, or you would need to pay a few hundred dollars to have an agency take the photos. Having your own drone with photography capabilities allows you to snap those photos yourself. Commercial use. Some individuals have built businesses out of providing aerial inspections using remote control drones. For example if there is a leak on a roof that may be difficult to inspect via a ladder or skyjack they will send a drone up to view the damage so decisions can be made without excerpting the resources to climb up and inspect. The FAA still regulates which industries can use them commercial so check the regulations prior to planning a business around drone usage. Geocaching. Geocaching is the global movement of placing items in various spots around the world for others to find. It is usually done in person via a GPS and coordinates however some are starting to incorporate drones into this sport by accomplishing aerial photography missions, or placing items in difficult to reach spots designated for drone retrieval only. Read up on the Federal Aviation Administration’s regulations and restrictions on drone flying. I’d hate for you to buy a drone only to realize it can’t be flown where you intended to fly it. Check out the FAA’s guidelines here. Below is a great short clip from the FAA with info around what you should know before you fly remote control drones. Regardless of your motive, my next few posts will walk you through some of the top drones, their specs, and where you can buy them. 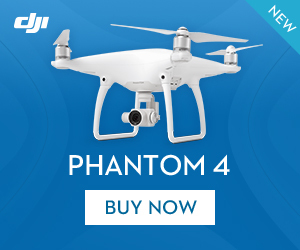 My first recommendation is of the already well known Phantom 2 Vision+. Read this here.